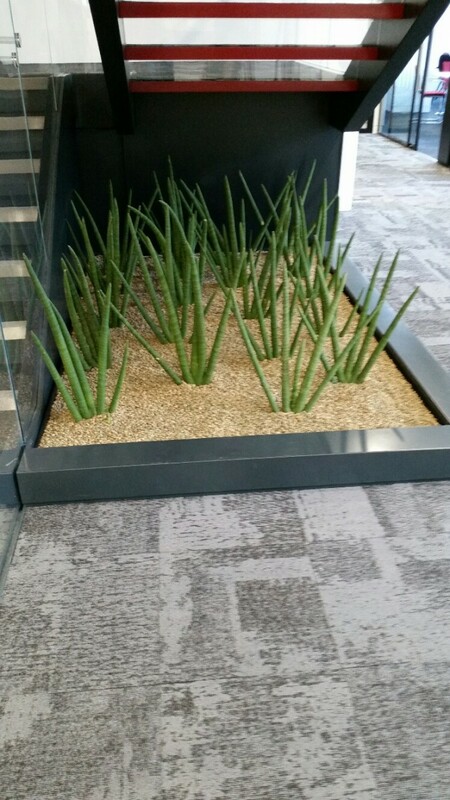 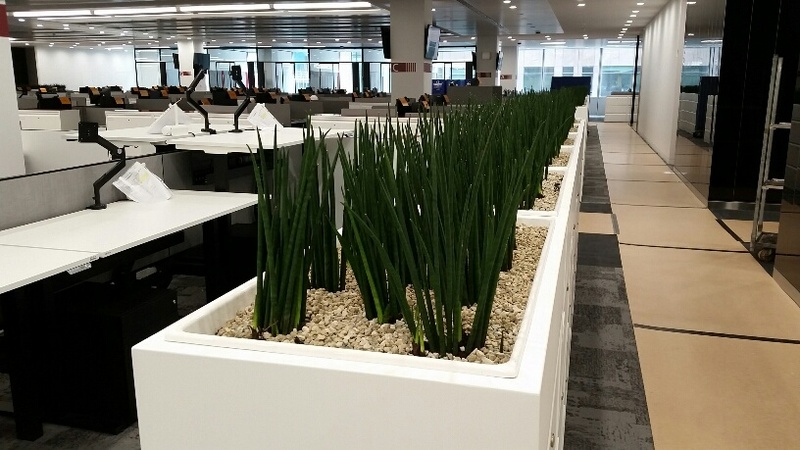 As well as 100’s of individual planters and custom joinery installations there are over 100 metres of interior planting throughout the building and spread over 12 floors. 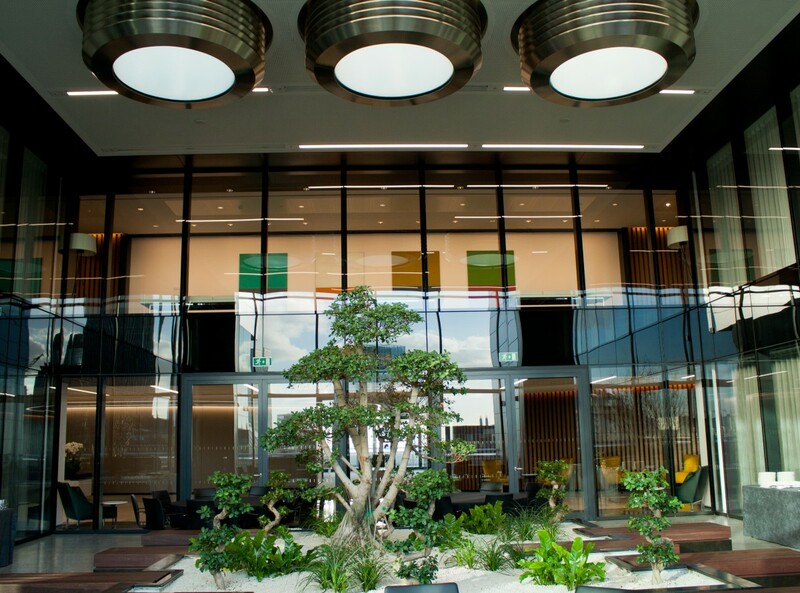 We designed the scheme to suit the cutting edge architecture of 5 Broadgate being the brand new purpose built flagship headquarters for UBS in the City. 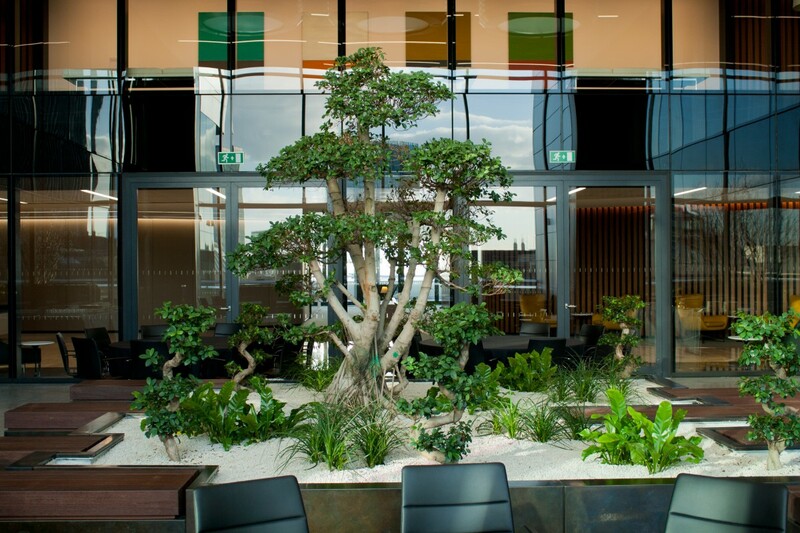 It was important to have structural well-defined planting schemes that worked with the interiors to create a cohesive look.